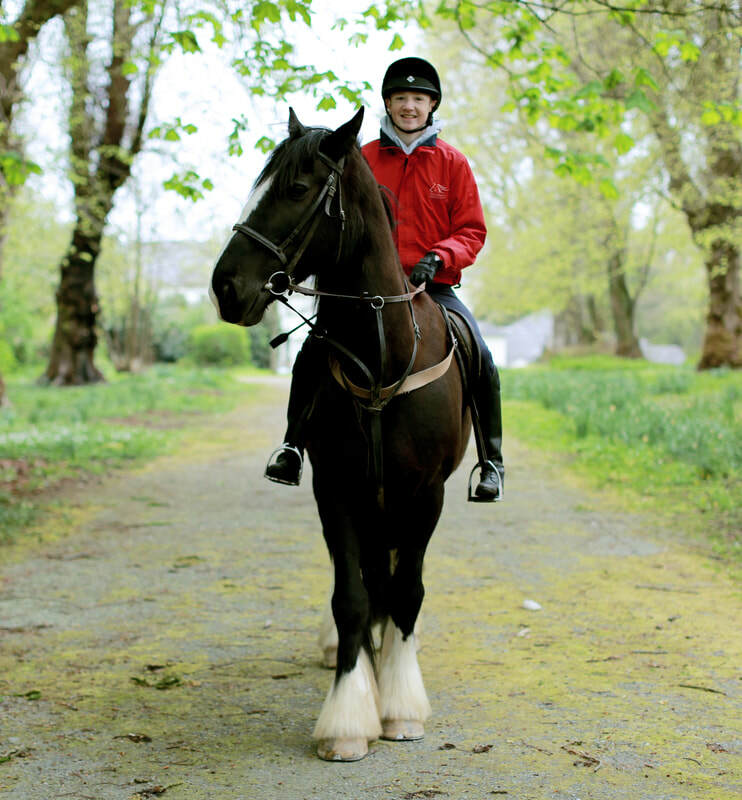 Each of our horsepowered journeys has been specially designed to free you from the stresses of everyday life and help you reconnect with nature in a unique way. With hacks to suit all activity levels, including leisurely, moderate and challenging, you can also enjoy listening to stories about local characters as you ride through the scenic countryside. Nestled in 30 acres of beautiful rural countryside the location allows for superb scenic hacks and walk outs. 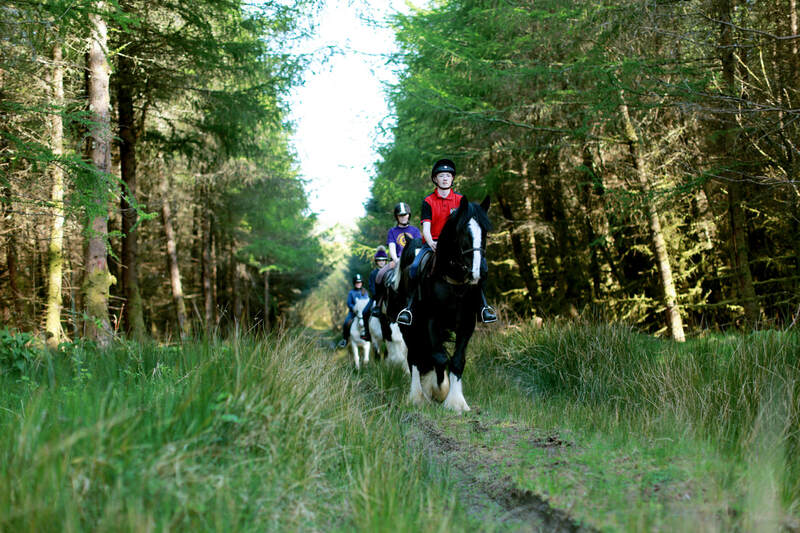 Our walk outs are geared towards those who like horses but prefer to keep their feet on the ground. Why not add to your experience by having lunch in the great outdoors provided by one of our local hotels. Add champagne for that special occasion. Come along and create your own adventure whilst making everlasting memories. Never ridden before? No problem. 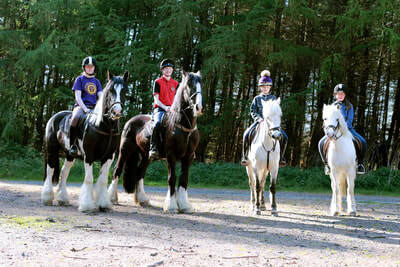 We will have guides to walk beside you or you can choose to stay on foot and walk beside our horses. All our rides and walk outs are escorted by qualified instructors. 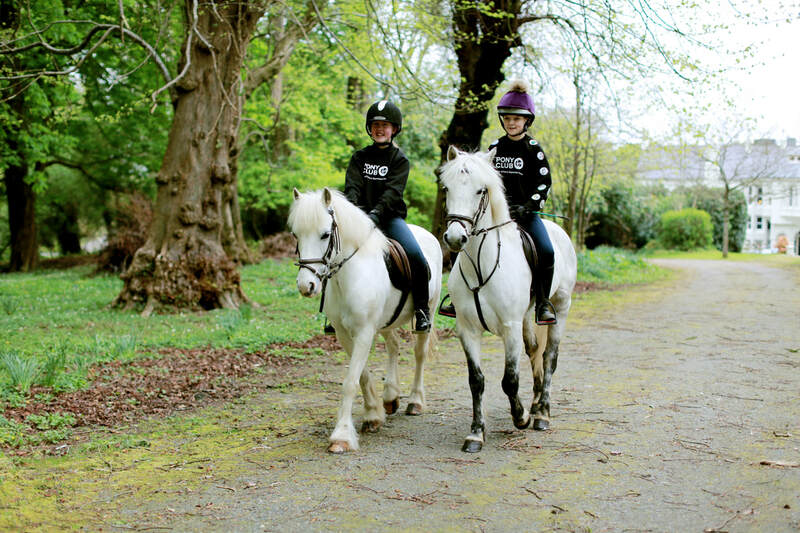 ​As you arrive at the equestrian centre you will be greeted by our friendly staff, who will walk with you through fields nestled in the Faughan Valley. 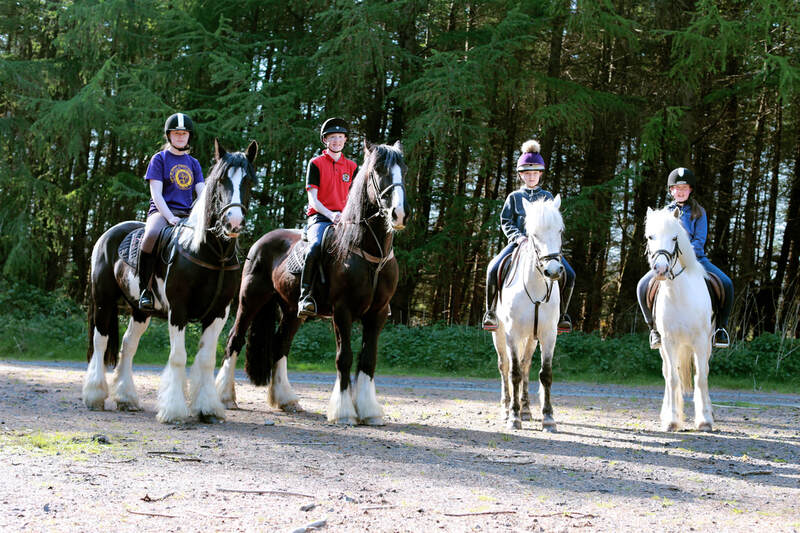 Here you will be introduced to our wonderful horses in their natural habitat and begin to discover how they communicate and how our body language influences their behaviour. You will ask your horse to accompany you to the yard, where you will develop your bond further by grooming them and preparing them to ride. You will then meander through lush country lanes and picturesque fields, our guides sharing stories about the landscape and local characters as you go along. 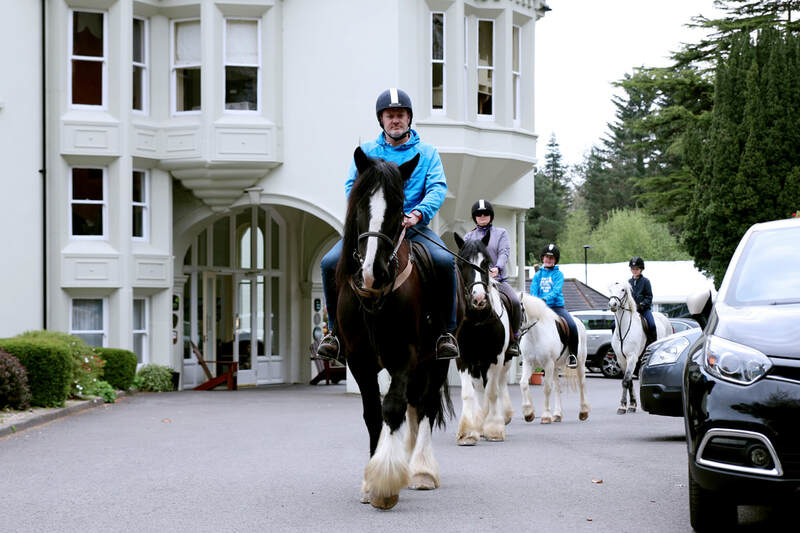 ​Your horse-powered transport will be waiting for you in the grounds of the Beech Hill Country House Hotel. From the moment you ride past the charming gatehouse along country paths passing by ponds and woodland, you will be captivated by the spectacular and secluded setting of this magnificent 18th century country house. 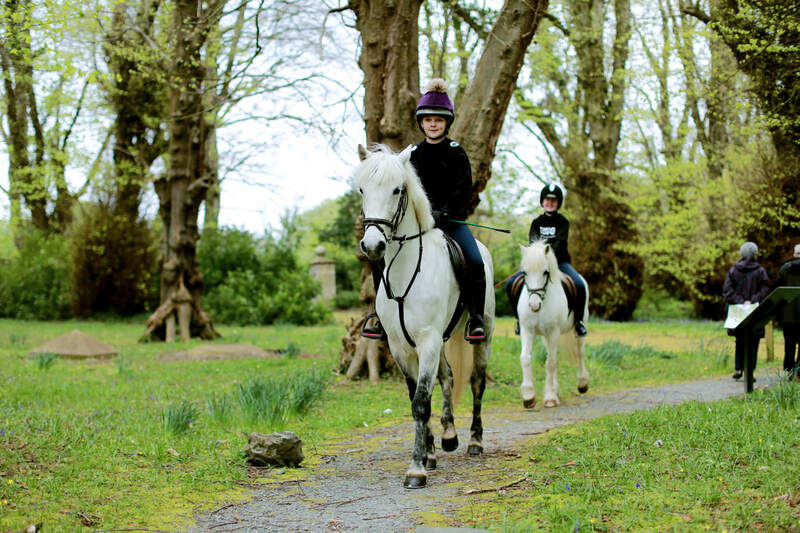 The Georgian elegance of the Beech Hill is reflected in the magnificent gardens and creates an idyllic backdrop for a leisurely hack. Here you will be greeted by the most breath-taking panoramic views of Derry and beyond. You will then make your way back down to the Beech Hill, where you can enjoy a refreshing beverage in the spectacular grounds of this historic country house hotel. You will walk and trot along country lanes and roads until you reach the old Forge Road, where you will be treated to amazing views of Derry and beyond. This gorgeous scenery will continue on until you reach the grounds of the Beech Hill, where you will meander along country paths through a forest carpeted with bluebells. again to make your return journey to the Equestrian Centre, listening to tales of some of the local characters en route. Your horse will be waiting for you at the bottom of scenic Slievekirk (Sliabh Circe in Irish), meaning Mountain of the Hen. As you ride 370m above sea level, you will be treated to panoramic views of Lough Foyle, Donegal and the North Coast, along with winding country roads, lanes and lush greenery. 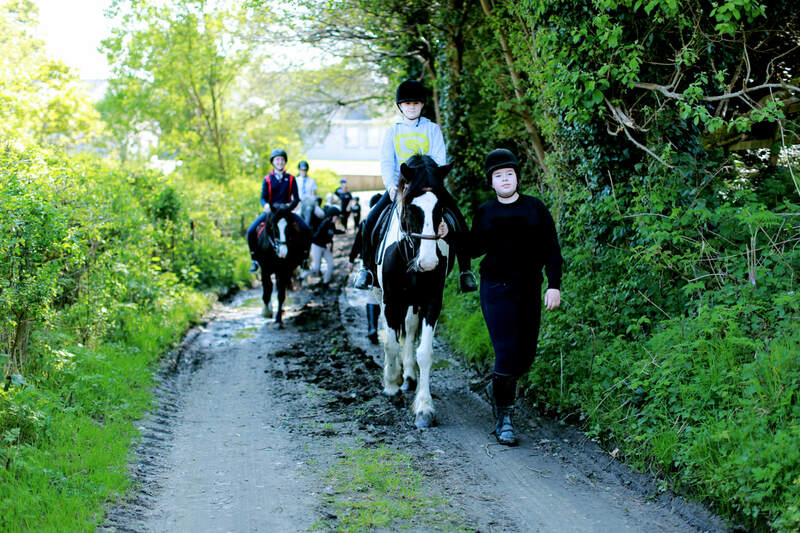 NB Trotting and canter routes are available on request. 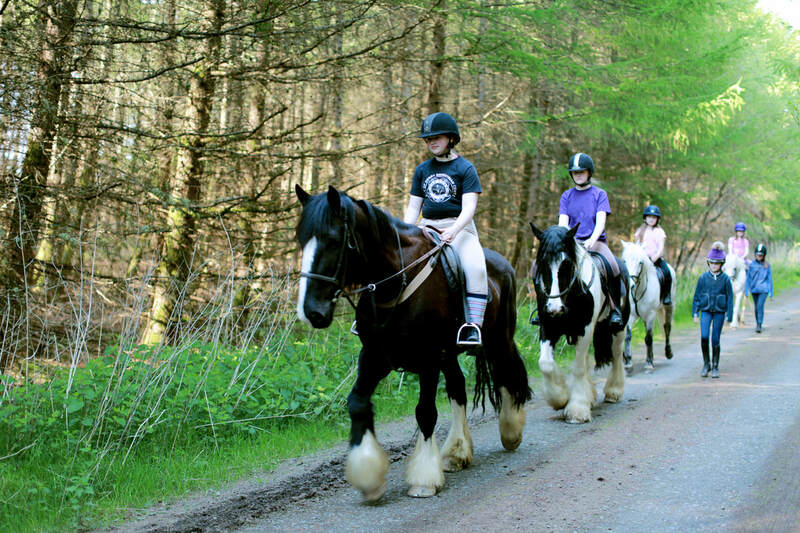 Donegal you will also hear stories about some local characters en route, before a canter along country lanes will bring you to the forest. make your descent through quiet country roads back to the Equestrian Centre, where more canter lanes are available. Download a copy of our scenic hacks leaflet to help you book your trip.